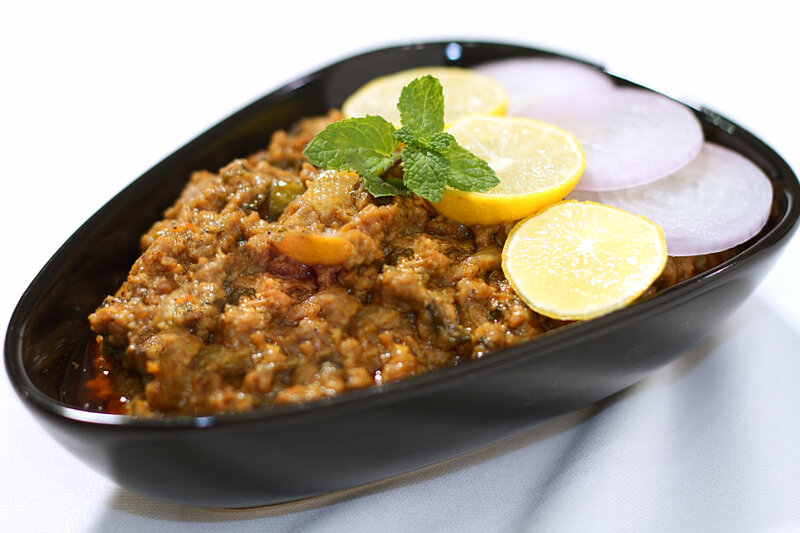 Hyderabadi Dum Ka Kheema – A super fast recipe to cook a delicious meal. This fragrant, melt in mouth Kheema (or keema) recipe is something you can make in a jiffy and it always turns out to be a winner. So next time you want to win hearts by your culinary skills, make this Hyderabadi style dum ka keema and see your fan-following rise. Use slightly sour yoghurt or curds for best results. The Dum Pukht or slow oven cooking of a dish is a cooking technique associated with the Khyber Pakhtunkhwa region in Pakistan in which meat and vegetables are cooked over a very low flame, generally in sealed containers with very few spices. The technique of cooking is said to be based on earlier Persian cooking methods introduced in the Indian subcontinent. However, the cooking traditions assign its origin in the pre-partition era of India to the reign of Nawab Asaf-ud-Daulah (1748–97). Although it is historically Persian the dum pukht way of cooking is now also commonly used in other cuisines like Peshawari, Balochi and Mughlai. In a heavy bottomed pan, add ghee, add onions and fry them till they turn golden brown. Add the remaining ginger garlic paste and chopped green chillies. sprinkle some water and fry till ghee floats on top. This will take about 8-10 mins. Add the marinated mutton mince and mix well. Add 1/2 cup water and seal the lid of the pan. Allow it to cook under dum for about 35 minutes. After 35 miniutes, open the pan and check the doneness of the mince. If it is underdone, cook for a few more minutes till it is no longer chewy. Garnish the keema with mint leaves, chopped onions and a wedge of lemon. Serve this delectable dish with hot Rotis, Nan or Paratha with a salad on the side.